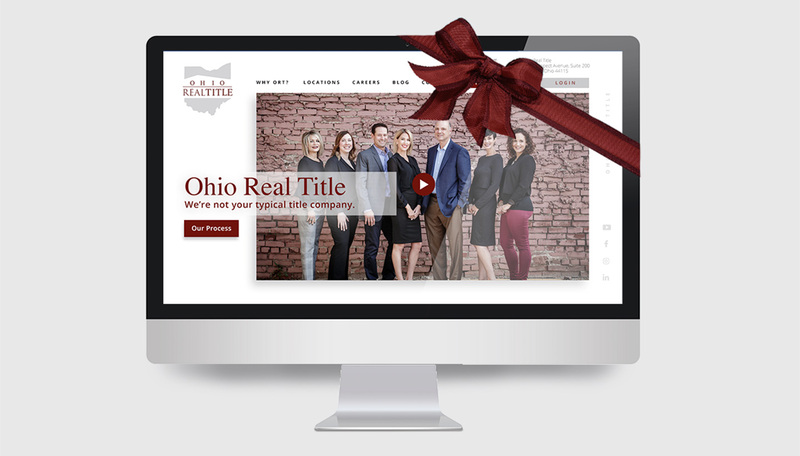 Your experience with Ohio Real Title is important to us – including your digital experience. That is why we are thrilled to announce an exciting makeover coming to the Ohio Real Title website. Currently under construction, the new website will launch before the holiday season is upon us. It will include new branding, enhanced navigation, and new professional photos and videos from our team photoshoot. Ohio Real Title is constantly growing and improving, and we want our brand to reflect that. New imagery and interesting, relevant content is headed your way. Follow along via Facebook, Instagram, and LinkedIn, and if you like what you see – feel free to share! Everything you need to know about title insurance will soon be right at your fingertips. Our new site will have a more simplified hierarchy of information, so one quick glance will provide you plenty of insight. Important forms will be integrated into the site where you will be able to submit information, among a plethora of other updated features. What’s the fun in visiting a website without colorful, engaging photos? Ohio Real Title had a company photoshoot with award-winning Columbus photographer Robb McCormick, and we cannot wait to show off our hard working employees caught in their best light. With a refreshed branding, enhanced navigation, and a gallery of stunning new photos, It All Adds Up. Stay tuned for more updates as we quickly approach the unveiling of the new, remodeled Ohio Real Title!